Historical Branding Solutions is the brainchild of former corporate lawyer and history professor, Dr. Ulrich Frisse, or simply Ulli, as he prefers being called. It is the culmination of a lifelong passion for history paired with the realization that the story is any organization’s most valuable asset. From our founding in 2003, unlocking the power of the corporate story has been our goal; and passion continues to be the driving force behind everything we do. 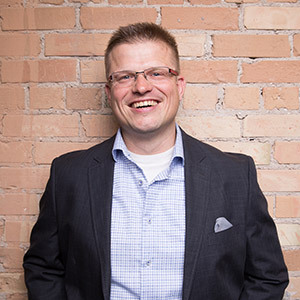 Trained as an international corporate lawyer and historian in Germany and Canada, Ulli first realized the inspiring power of the corporate story during his eight-year career teaching modern history at Wilfrid Laurier University and the University of Western Ontario. It was when an elderly friend and successful immigrant entrepreneur approached him in 2003 to help him write his memoirs that the foundational dream for HBS was born. The dream quickly turned into a vision—that of a creative boutique agency where professional historians, designers and marketers join forces to create inspiring and authentic company history books, legacy books, anniversary books, and story marketing solutions for entrepreneurs, enterprises and not-for-profits. Today, many corporate history books and story marketing projects later, we are living that dream every day. And we have a lot of fun doing it. As president, lead author and leader of the writing and research team, Ulli draws on his rich expertise as a former history professor, professional writer and driven entrepreneur in constantly stretching the HBS team to ensure our corporate history solutions are leading edge. A Dad of four energetic boys and husband of Sarah, Ulli is a wilderness enthusiast and insatiable road cyclist with a history of racing going back to his days growing up in Europe. As vice president and managing editor, Sarah is the driving force behind our processes and structures. Blessed with a creative mind and great attention for detail, Sarah leads the HBS marketing and editing team with a flourish of her red pen. A former assistant librarian and children’s programmer with a B.A. in Languages and Literature, her love for working with people and telling stories is contagious. Outside of HBS, she spends her time doing what she loves best: raising four wonderful boys, spending time with family and reading anything she can get her hands on. 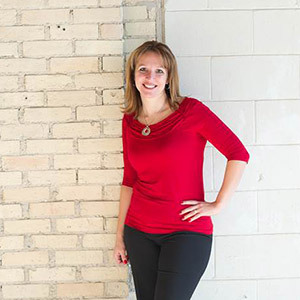 As our exclusive Design Partner, Creative Director and visual mastermind of Lesley Warren Design Group, Lesley guides each HBS project through the entire design process, ever thoughtful of each client’s distinct brand and unique objectives. 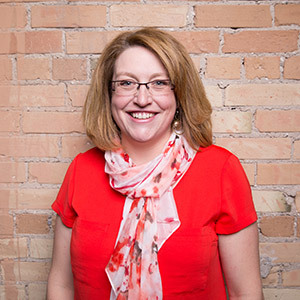 A successful entrepreneur (she is the recipient of the Kitchener-Waterloo Chamber of Commerce 2015 Young Entrepreneur of the Year Award), Lesley leads a creative power team that shares her unwavering belief in purposeful design. A graduate of the University of Western Ontario (B.A. ), Queen’s University (M.A. ), and McMaster University (PhD), for Oleksa bringing a corporate story to life is his way of feeding his burning passion for history. 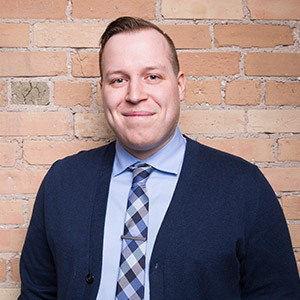 A die-hard supporter of the Montreal Canadiens, a lover of Tim Horton’s coffee, and a fan of Eric Clapton, Oleksa can be found, if the weather is good enough, sitting outside reading and enjoying a glass of Innis & Gunn or if the weather isn’t cooperating, playing video games. A graduate of Wilfrid Laurier University (B.A.) 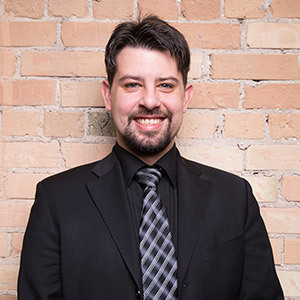 and the University of Western Ontario (Master of Library and Information Science), Patrick is the former Collections Analysis and Research Liaison Librarian at the University of Waterloo. He currently serves as Medical Librarian at St. Mary’s Hospital in Kitchener. As Archival Team leader at HBS, he injects his expertise on archival processes and structures into the team whenever needed. In his spare time, Patrick practises bookbinding and collects antiquarian books and German militaria.